Duro-Last 50 mil was installed on the Quad City Times building in Davenport, Iowa. The Duro-Last roof replaced a modified roof that was leaking. As a paper distributor, the client was concerned about keeping the humidity low. They chose Duro-Last because of the roofing warranty which included consequential damage to equipment below. 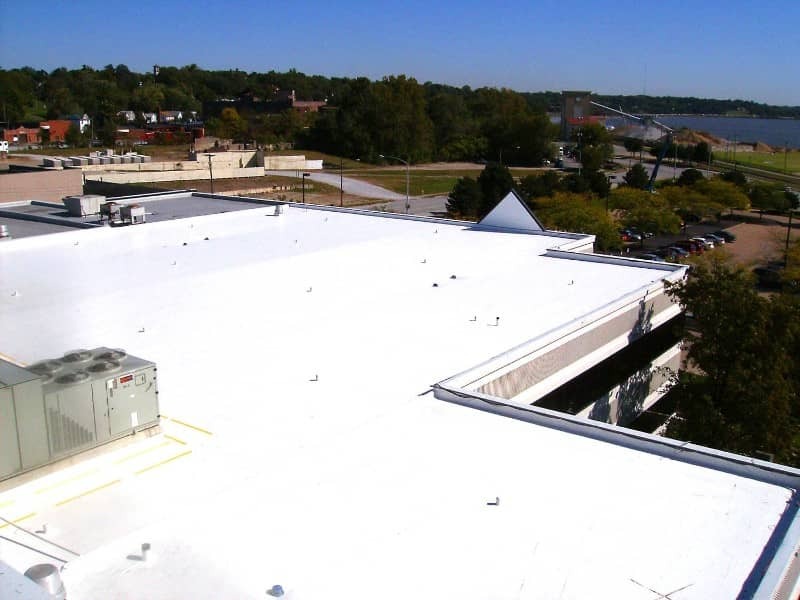 Riddell Roofing used factory flashings and a 3/8" Duro-Fold slip sheet. Riddell Roofing also recommended and installed safety walk pads to the roof-top air conditioners helping to ensure the longevity of the roof.